I'm feeling a bit guilty here because recently my blog has been given a shed load of lovely awards and it's taken me ages to post about them. So without further ado I'd like to thank Caroline, Francesca , cmeknit, crafting jen, Rae Knits, La Quinta, Sew Christine and Maureen for the 'you make my day' award. I find it really hard to pass these on because there are so many blogs that make me happy in all kinds of different ways (see for yourself my list of favourites to the right). There are however 3 further people who spring to mind for the 'spread the love award'. Katie - What Katie Did, Tracy - Cupcakes at home, Kat - Secrets of a Butterfly. Three special people who always have kind words and generous hearts. If you'd like a set you can pre-order here at Funky Kits. 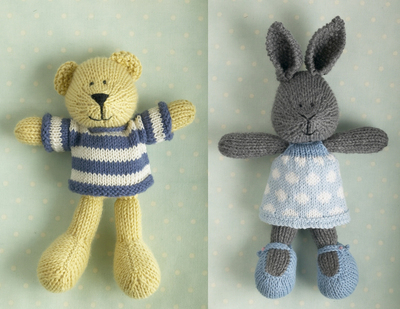 There will be more coming into general stock soon - if you have any queries about these please contact Sugar Nellie. If you've been reading my blog since last summer you may remember little Herbert Hogwart the baby hedgehog that we took in and fattened up. You may have also noticed that I've not mentioned him recently and that is because I was rather worried that something might have happened to him. You see he was still popping out of his little house for his 'breakfast' each night right up until the start of January and then one day his food remained untouched and the hay I placed lightly over his front door stayed exactly where it was. After a week of the same I thought (and hoped) that he had probably hibernated but it wasn't especially cold at the time and so a part of me feared that he'd met an untimely end under the wheels of a car. ... a hole in the hay and an empty dish. So, he's ok! 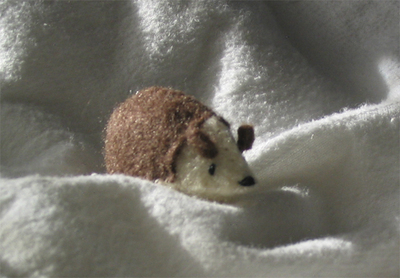 I've decided to let him wake up in peace rather than shoving my camera in his face so I've no photos of him but I do have one of this wonderful little hedgehog that the lovely Kat sent me at Christmas time. He's from Blossom Hill Cottons - definitely worth a visit if you like your animals super tiny and super cute! Today is 'world thinking day'. A day when all Brownies, Guides and Scouts around the world think about each other and the friendships they've made. 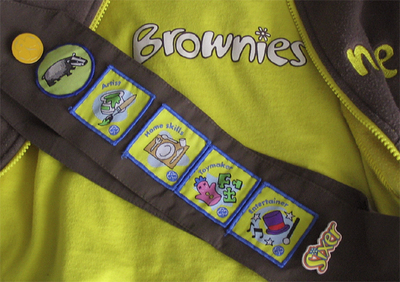 Amy is excited because it means that she gets to wear her Brownie uniform to school and show off her growing collection of badges. I'm so proud of her as she's worked hard for each of these. They're also special because they are all the things that are dear to my heart too - toy making, home skills, artist and entertainer. 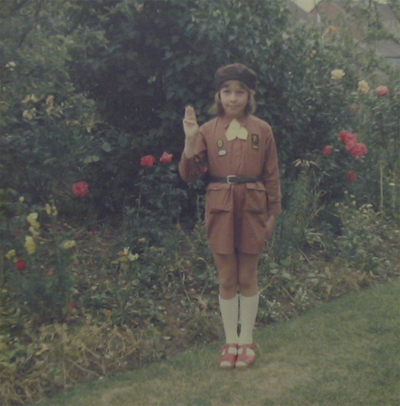 I'm so glad for her that the brownie uniform has changed since my day - cue dodgy photo of me from the '70s! I hadn't really intended to be away for so long but it was half term here last week so I didn't get my computer time - instead I was entertainments manager for 2 small people! 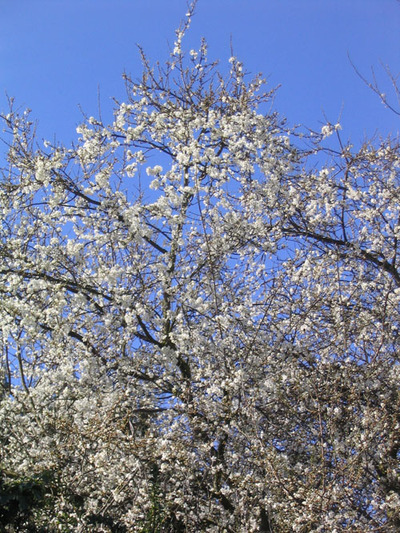 We even managed to get out in the garden for some bouncing - it's lovely to see the blossom on our old plum tree and know that spring is on the way! After a few days at home we headed off to stay with my Mum and Dad and had a lovely time. Mum is doing so much better and is working hard at her physiotherapy (after she broke her neck in a serious fall last autumn and had to wear a halo device for 3 months). There is still a way to go before she's as flexible as she used to be and her back gives her some pain but she's so determind and is an inspiration as is my Dad who has become quite a dab hand in the kitchen! Now that the kids are back at school I'm pressing on with knitting again. I'm not sure when I will have the next sale of toys / cakes as my situation has been complicated with an encounter with the Inland Revenue. I don't want to go into great detail but I'd advise anyone making and selling anything in the UK to look into whether they should register as self-employed and not assume that you only need to declare any income if it is enough to pay tax on! Anyway, when I get all of my paperwork finished and know exactly where I stand I'll email my advance list with full details before the next batch of toys are sold. Thanks so much for all of the emails I've had recently, I will be working through them this week. Thanks too for all the lovely blog awards that have come my way - I'll do a post and pass them on shortly. 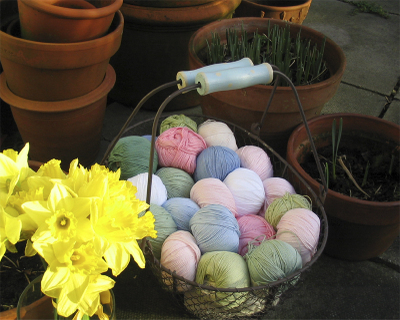 Colour is such an important influence on mood and since this winter has been pretty dull and there's not much colour out in the garden just yet I thought I'd gather up some of the yarn I'm currently knitting in and stick it in my lovely new basket from Snapdragon (they have some gorgeous things and Jane has a lovely blog). 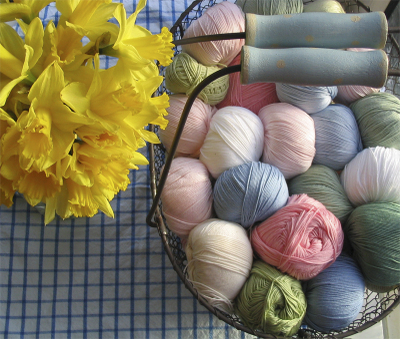 Although it's making me feel cheery, H is not all that impressed with my spring yarn display - he says it makes the living room look like a wool shop - yep, good isn't it?! Sadly for him he remains unseduced by appeal of yarn and doesn't understand that you can never have too much of it! I hope there's some sunshine in your weekend! I've always thought of myself as good at keeping secrets but there is something I've been sitting on since the end of last year and I can't keep it a secret any longer or I'm going to burst! Since starting this blog I've been overwhelmed at the response to my little knitted toys and I'm completely thrilled that they are popular because it means that I can continue doing what I love and what soothes my soul rather than going back to work in an office (which did not soothe my soul one iota!) Anyway, shall I get to the point? 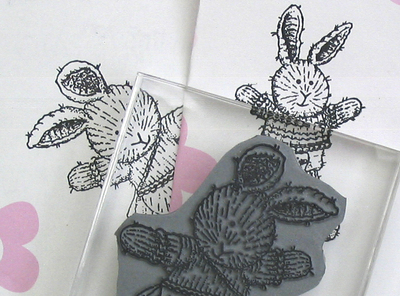 Little cotton rabbits are becoming stamps!! The talented team at Sugar Nellie are in the process of creating a set and you can get a sneaky preview here of Dexter and Winifred. Sugar Nellie's blog will keep you up to date on the range (and their other exclusive stamps) and hopefully a little later this month they'll be available to buy. It's very exciting to think of the little cotton rabbits popping up on cards and scrapbooks - I can't wait to see what people create with them!